Pack of 10 Fusion Mk2 chrome stair balusters / spindles by Richard Burbidge. All-metal construction. Finished in chrome, these brackets are sturdily made from zinc alloy and include a single fixing hole to attach to your baserail and handrail. 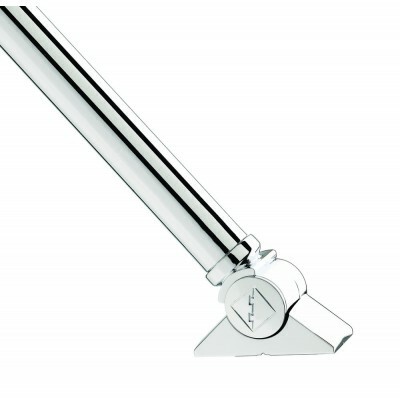 The tube is manufactured from 19mm diameter stainless steel which has been chrome plated. Overall length: 794mm. Can be cut down to size if necessary. Please note that these baluster lengths are designed for use outside the UK.